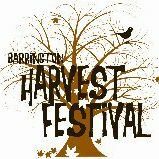 It’s not going to be a beautiful day, according to Weather.com’s forecast for Barrington, but at least it’s not likely to rain during the 16th annual Barrington Harvest Festival from 10 a.m. to 4 p.m. today. The forecast calls for cloudy or mostly cloudy conditions with temperatures in the 60s throughout the scheduled day today. Chance of rain is listed at zero percent for most of the time, rising to a 5 percent chance between noon and 2 p.m. 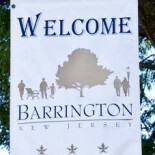 This entry was posted on October 12, 2013 by Barrington Bulletin in Events and tagged harvest festival, weather.